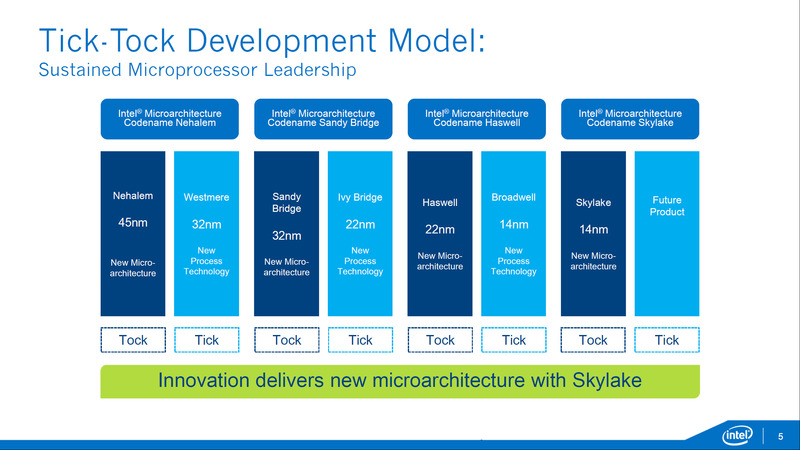 Intel is going to launch their unlocked Skylake processors, the Core i7-6700K and Core i5-6500K on 5th August 2015. The latest report on these processors comes from Benchlife who have received details on roadmap concerning the launch of Intel Skylake processors for the desktop platform along with chipset launches in the 100-series lineup. These Skylake processors will have several features that include increase IA and graphics performance at much lower power than their predecessors. While the TDP remains 95W, Intel has further improved the efficiency of these new chips hence delivering much better performance. The Skylake processors will support both DDR3L and DDR4 memory types. The DDR3L memory will be available on the mini-PC designs such as All-in-ones and NUCs while traditional PCs which will get Z170 and H170 series motherboards will have native support for DDR4 DIMMs. The unlocked processors options which are also the Enthusiast CPUs as detailed above will allow enhanced full range BCLK overclocking. Hopefully, Intel will use better TIM or Soldering to prevent any heating issues on the dense 14nm chips. Other features includes Turbo Boost 2.0, Hyper Threading, DMI 3.0, 3 digital displays capability (including embedded Display Ports), HEVC, VP8, VVP9, AMCs and support for the latest APIs such as DirectX 12, OpenGL 4.3/4.4 and OpenCL 2.0. The post Intel Launches Core i7-6700K and Core i5-6600K Unlocked Skylake CPUs on 5th August – Skylake-S Platform Roadmap Detailed by Hassan Mujtaba appeared first on WCCFtech.